Provided by the Indian International Student Union “Harry Potter and the Cursed Tamasha,” hosted by the Indian International Student Union, will take place on Saturday, Feb. 9 in the Chamber Hall. Binghamton’s campus has cultural resources for nearly everyone, and the Indian International Student Union (IISU) is just one of those. This weekend, the IISU’s presence will be felt as the annual Tamasha show provides an opportunity for students of all cultures to get a taste of the talents around Binghamton. The event will include professional photography and music accompanied by Indian cuisine catered by Royal Indian in Vestal. The Tamasha show will display a number of performances that span across many genres and all pay homage to the South Asian culture. The night will feature both on- and off-campus dance teams and a fashion show showcasing popular South Asian fashion. Several Binghamton dance teams will be performing in the Chamber Hall, including Binghamton Masti and Black Dance Repertoire. While Tamasha is organized by the IISU, the hope of the organizers is to introduce the rest of BU’s campus to the hard work and talent of the South Asian community. Samragyee De, co-cultural chair of the IISU and a sophomore double-majoring in economics and political science, said that students can enjoy a variety of dances at the event. “Tamasha features several dance acts choreographed by our club members ranging from traditional classical to modern styles,” De said. Tamasha will also feature Macaulay Deewane, a co-ed Bollywood fusion dance team from the Macaulay Honors College in the CUNY system that will be traveling to BU. 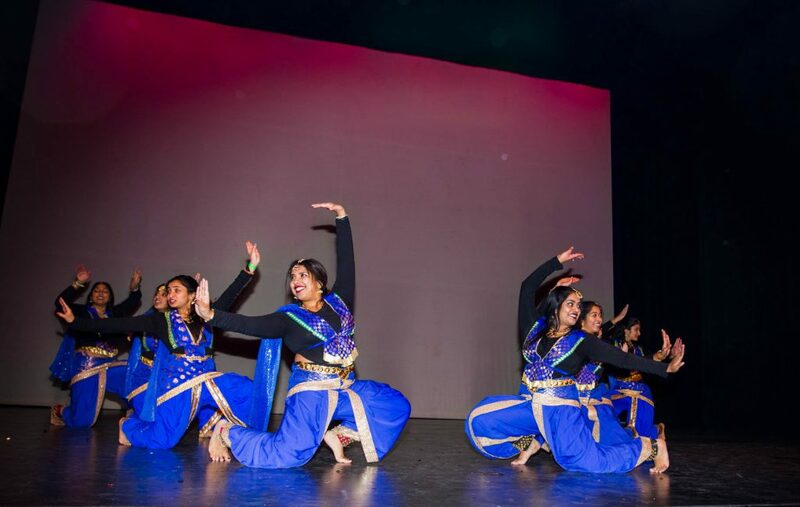 “Tamasha and other cultural events give Binghamton students the opportunity to experience even just for a night, what traditions shape their fellow students,” De said. Each year, the Tamasha event takes on a theme to provide continuity between the performances. The theme for this year’s Tamasha is “Harry Potter and the Cursed Tamasha.” Tiara Roy, president of the IISU and a senior majoring in integrative neuroscience, explained how this will be incorporated throughout the night with skits composed by IISU members. For those involved with the event, Tamasha provides space for students of South Asian descent to feel like they aren’t losing their connection with their roots when they leave for college. The Tamasha cultural show will take place at 6:30 p.m. on Feb. 9 at the Chamber Hall on BU’s campus. Tickets are sold out as of now.